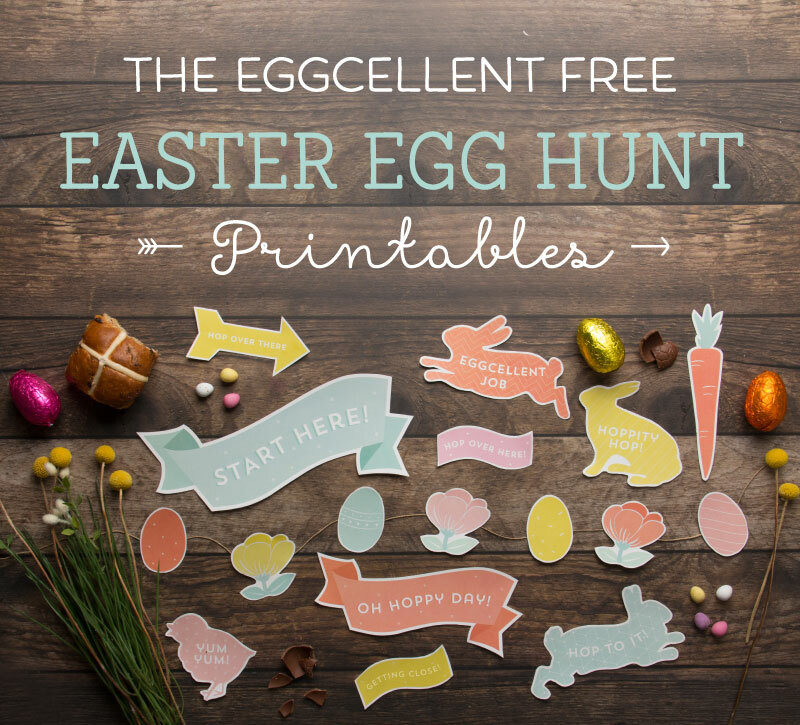 It’s almost that time of year again… Get ready for an eggcellent Easter with our lovely and free Easter Egg Hunt Printables! 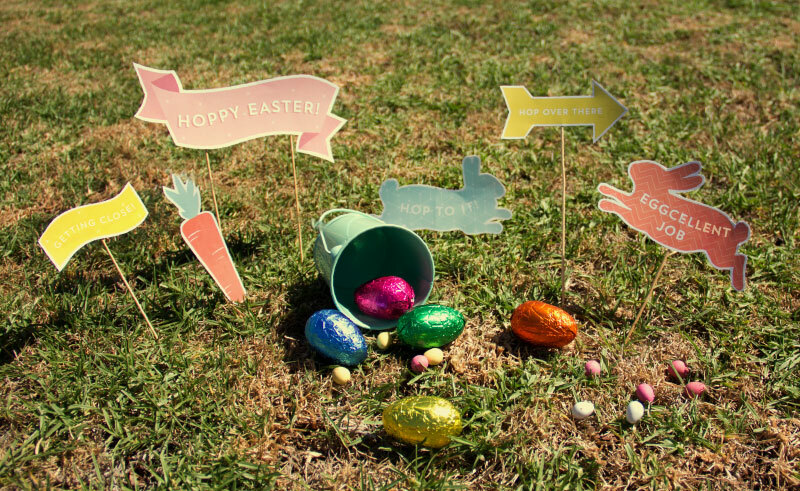 Simply print and cut out, then pop on some skewers and scatter around the garden (along with some yummy treats) for an epic Easter hunt! Easter Egg Hunts are a fun way to keep the little ones entertained on Easter morning (plus the big ones) and gets them running around in the garden before they get to dig in to all their goodies. 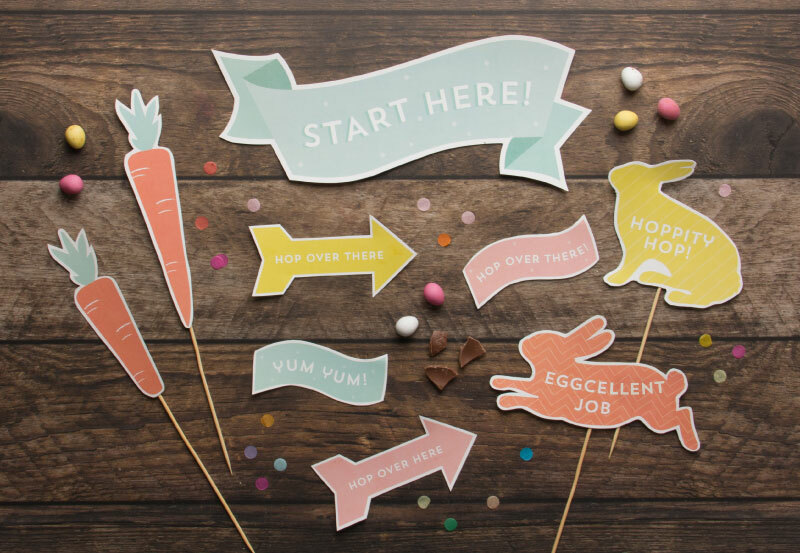 Our set includes bouncy bunnies, lovely little signs, carrots, arrows and more… That’s 6 whole pages of printable fun! 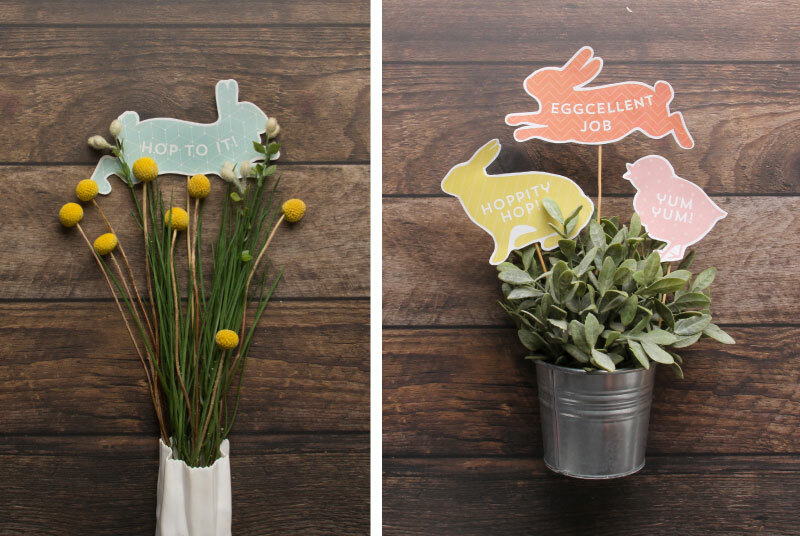 What are you waiting for… Hop to it!